The holidays are over. The Christmas tree is down and the decorations are put away. But the house is looking a little bare. There's another 10 weeks of winter and lots of snow on the ground. I think it is a little too early for spring bulbs. The house needs something but what to do? 1. Add an orchid plant or two. 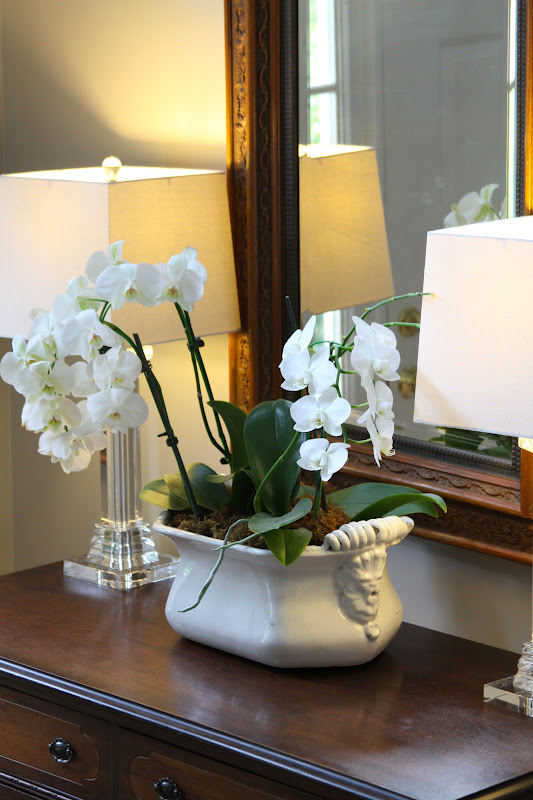 White orchids add a fresh and clean feeling to a home - perfect for the start of a new year. A few plants can be placed into a larger ceramic planter. No need to remove them from their plastic pots. Cover the pots with moss and your arrangement is done. 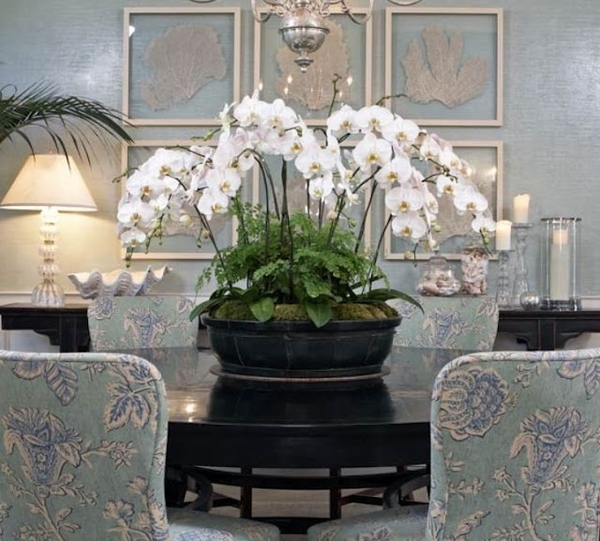 If you are looking for a hint of colour, purple orchids bring a smile to a grey winter day. My orchid planter from last winter - see the post here. 2. Try a Maidenhair Fern - A friend of mine doesn't like orchids much and was looking for an alternative, so I suggested a maidenhair fern. 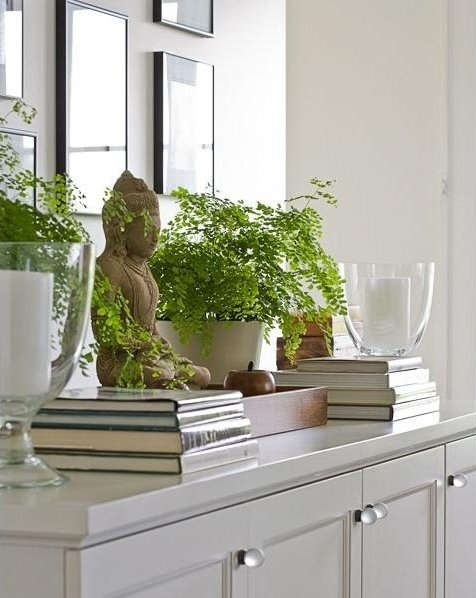 These ferns are light and airy and a beautiful shade of green. They look great in a white pot ( and I love the white pillar candles in clear glass hurricanes ). Very fresh! How about orchids and maidenhair ferns together? Very elegant and very grand. 3. 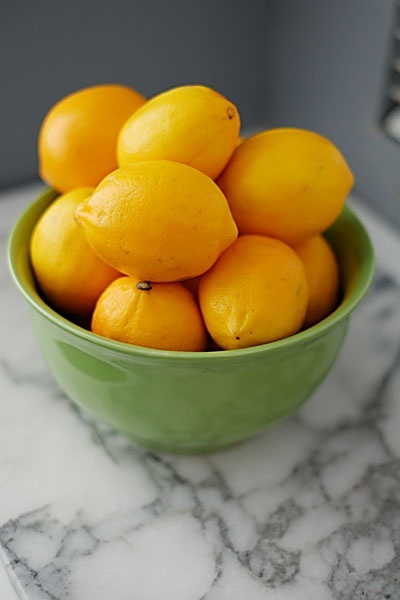 Fill a bowl with lemons, limes or oranges. 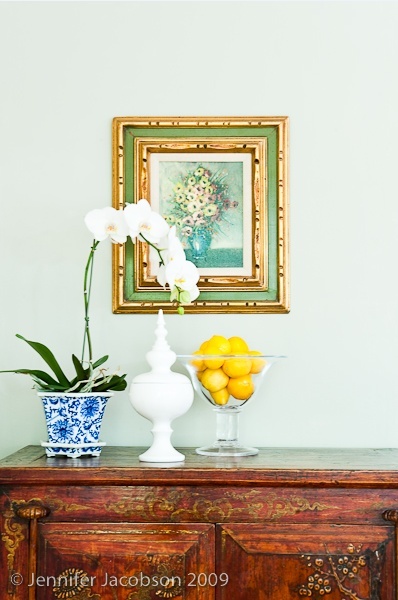 Sunny yellow lemons brighten a room. I especially like them in a blue and white bowl on the kitchen counter. 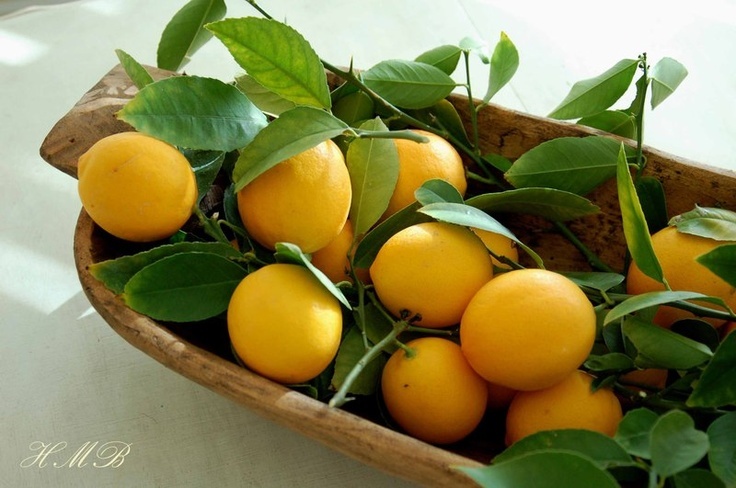 Lemons with their leaves look amazing in a rustic wooden bowl. 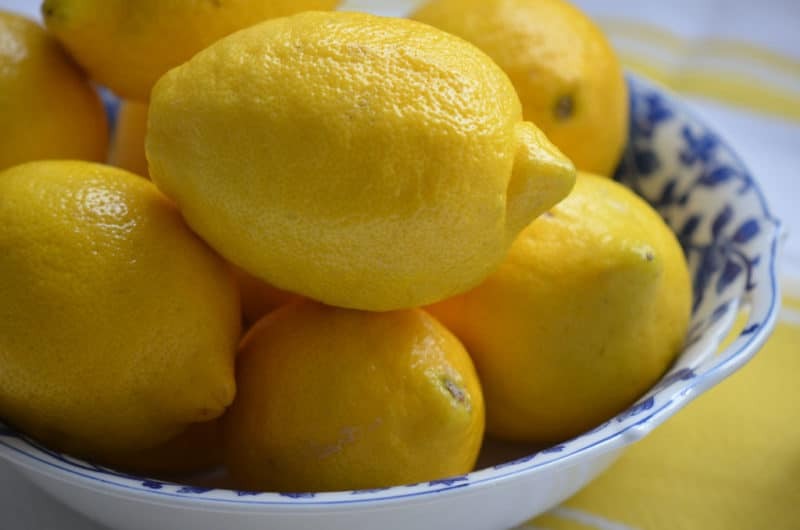 Fill a pretty green bowl with lemons. 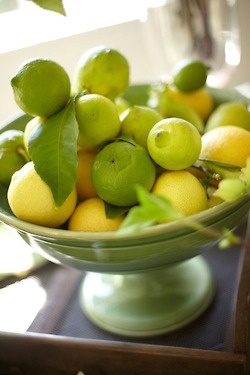 Or fill a green striped bowl with limes. You could mix lemons and limes... 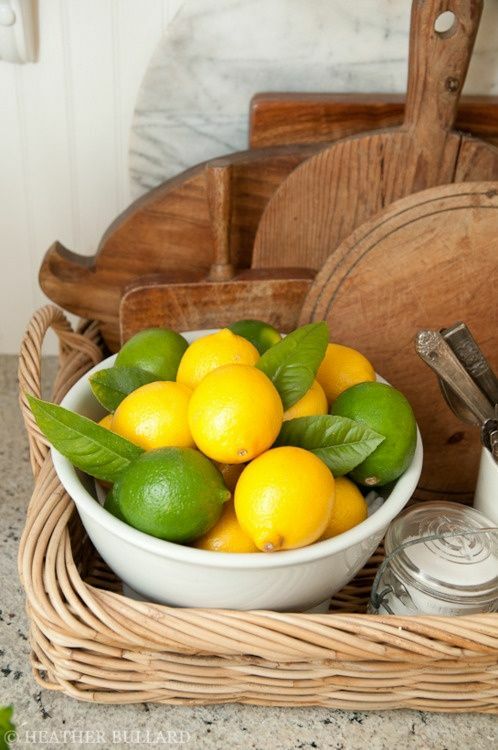 I love how this bowl is tucked into a basket with a grouping of cutting boards. 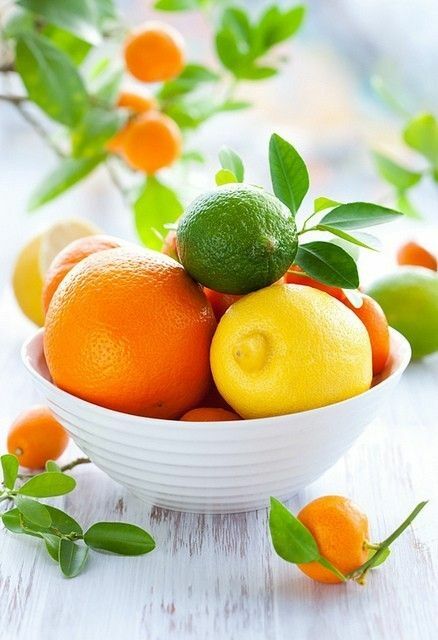 And why not add some oranges into the mix? 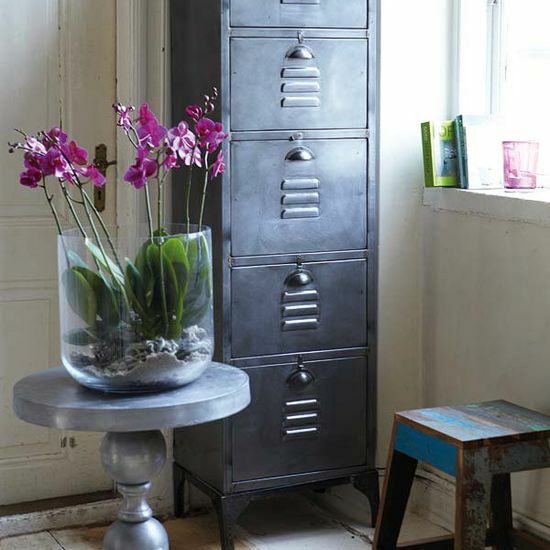 Any one of these easy and inexpensive ideas will help to combat the dreary winter blues. Or you could combine them all!